I gave a talk recently at Bannister Academy about my story and experience as a "digital influencer". To prepare, I used my Maven Secrets talk notes as some sort of a guide. But something happened, I was expected to deliver a speech, not the usual Powerpoint presentation. End up scribbling notes from pages torn in a small notebook. Good thing there were friendly faces in the audience, blogger friends, where I shared insights that I haven't told anyone before. At that time, I was reading the book "Brains on Fire" by Robbin Phillips, Greg Cordell, Geno Church, and Spike Jones. It is a great complement to Seth Godin's "Tribes". It provides a lot of valuable insight especially to those of us who get to handle projects that intends to mobilize people and form communities. Finding people who talks about your product is not easy. They are usually by-product of a bigger conversation where your brand is just a part of. In my case, the passion conversation centers on e-commerce, blogging, and search engine marketing. As I share knowledge on these subjects, participation and engagement increases in the DigitalFilipino Club. In this passion conversation, you will also discover the frustrations and some form of "injustice" experienced by some that can provide ideas on how you will further shape the movement in mind. Whether that being tired of organizational politics (DigitalFilipino Club), looking down on new bloggers or blogs (Top 10 Emerging Influential Blogs), protest on fee-based awards (DigitalFilipino Web Awards and Social Networking Awards), promoting Internet publishing for kids rather than just games (Philippine Schools Cyberfair), lobbying for a law (Philippine Internet Commerce Society and One Internet Day), among others. Start with the first conversation. 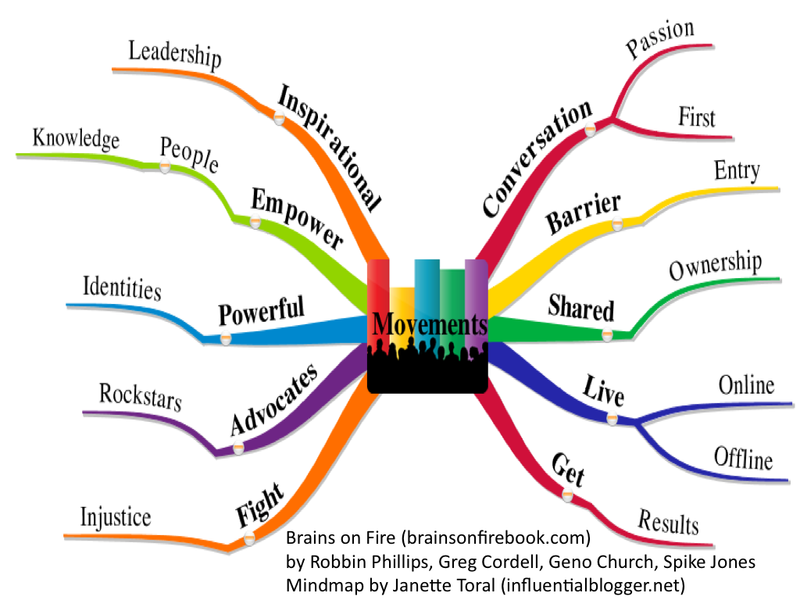 People join movements for different reasons. Back in the old days of the Philippine Internet Commerce Society, it was stirred by a common passion of making e-commerce possible in the Philippines by pushing for the passage of the E-Commerce Law or Republic Act 8792. The organization didn't got formed with just an idea of one person of course. It was sounded off and the opinion of others got asked. The integration of ideas then formed the charter of the organization's formation in 1997. In the year 1999 and 2000, the young organization was a major player for the passage of Y2K Law and E-Commerce Law. It happened through the sustained conversation and activities of the community that gradually grew as days go by. This chapter of the book made me reflect really hard. In my last three public speaking stints, I have expressed concern that as influence can be made and developed over time, it has also become a commodity. We've seen this with celebrities who function as product endorsers. As their contract expires, it won't be a surprise anymore when they start endorsing competing brands. Therefore ruining the idea as to what "influence" is really about. In some cases, this has happened to bloggers as well. Therefore, the pressure is on for brands to really look for passionate people who has a buy-in with the brand to begin with. That buy-in has to be genuine rather than be seen as a business transaction where it expires as soon as the deal is over. It takes only one passionate and committed person to start a movement. 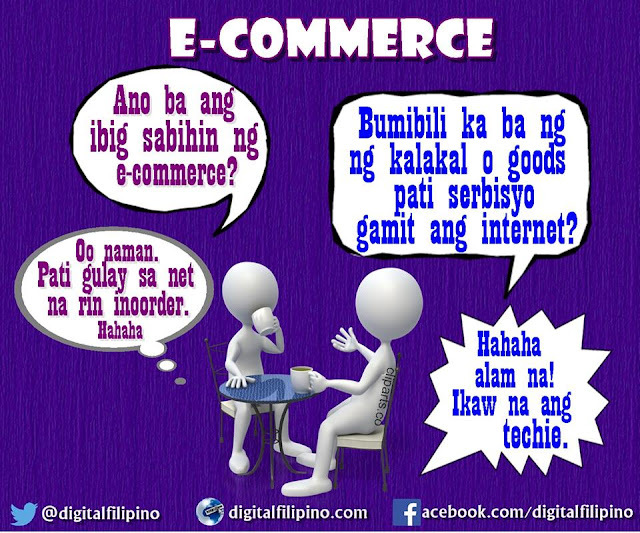 When the DigitalFilipino Club started, I thought at first, only active e-commerce players will join the community. Surprisingly, quiet people started joining the group who are just there to learn. But in getting to know them further, I realize that they have so much to share as well and to learn from too. As knowledge sharing gets fostered through conferences, networking events, articles, and video interviews, members were able to inspire each other and the audience at large. Create a barrier of entry. Free or with fee? Open to all or meeting a specific criteria? Community builders should be reminded that it is all about quality rather than quantity. Personally, I strive to hit 100 members in DigitalFilipino Club, 100 active bloggers in the blog network, 100 clients, 100 contacts in the inner circle, among others. Whenever I go beyond it, the quality of attention dissipates. However, each one can be supported as well to create their own 100. Empower your members, followers, stakeholders, fans with knowledge. I think when members of a community segment gets to learn and exchange knowledge with each other, it naturally booms. I guess that is the reason why iBlog: The Philippine Blogging Summit has thrive and now on its 7th year. From participation, through attendance or submitting a topic proposal, a lot who has joined the event became its evangelist who help spread the word by blogging about it, put the badge on their blogs, and refer sponsors. There is that sense of community ownership as one takes pride taking home the coveted iBlog shirt and express concerns on some of the speakers whose topics get approved or how the event was handled. I guess there is strength in diversity. Integrate shared ownership into your movement. When lobbying for the passage of the E-Commerce Law, one activity that we embraced in year 2000 was One Internet Day - an event where we celebrate the anniversary of the Internet in the Philippines. As the Philippine Internet Commerce Society and later DigitalFilipino did not have enough resource to mobilize a nationwide event, Internet users from different parts of the country were encouraged to organize their own One Internet Day. This activity led to the formation of organizations in various areas of the country, follow-up activities, and fostered strong bond among organizers. Build it on a powerful identity. It is natural when building a community or organization, people will either just love you or hate you. It is really meant to polarize. When the Top 10 Emerging Influential Blogs writing project came to life, those were the two reactions elicited. When strong emotions are stirred, support or against, then you are really on to something. When bloggers are able to share which blogs they regard as influential and up to the point when blog owners get recognized for their blogs, it becomes a powerful identity earned through respect from peers and relationship built over time. Having a clear identity is important as that will set you apart from the rest. If done right, you can create a niche category or sometimes be referred to as a "category of one". Find the spirit that makes you who you are (you or your brand). Tie online and offline efforts and tactics together. Online can help in terms of getting the idea across or spread the word. But offline cements the relationship. That is why leaders must take the effort of spending time talking to members and stakeholders, get to know them better, in both formal and casual environment. Build trust. When the rallying point comes, the relationship infrastructure built gets tapped and cooperation put to work. In the DigitalFilipino Club, in most of our networking events, it is not the business owners who usually attend. There is this "you should attend or meet this..." scenario for every club event. Later on, I realized, it does pay off. Sooner or later, some of the folks who got sent to our club workshops or events start their own business or move on to other organizations. Then an e-mail will usually arrive where their new-found company or employer will join the group. The cycle continues. The same happens as well when I get to speak in various blogging events throughout the country. Time gets invested to ensure that relationship is formed. Make those members, advocates, fans of yours feel like rock stars. When forming a club or a site, the challenge is there to ensure that it won't be about the proponent. I guess that is the reason why we have activities that puts the spotlight on others such as the ones mentioned earlier. In addition, we also have the DigitalFilipino Talks, Web Awards, Social Networking Awards, and Philippine Schools Cyberfair. Results can be tied to the bottom-line, new project opportunities, and some are priceless as well. We have maintained a club membership retention rate of 70%. Project opportunities on the rise that allowed us to invest in one season of DigitalFilipino Talks this 1st quarter shouldering its full cost. The priceless rewards will always remain. This includes referring employment and project opportunities, facilitate business partnerships, support advocacies, finding love, among others. My lesson #11 that I like to share is all about leadership and agility. Have determination to pursue your vision. Have humility in recognizing that you are not perfect and re-calibrate to adjust to feedback. Don't hesitate to reach out and tame your ego at all times. Be patient, kind, and always have peace in your heart. There will always be politics and stumbling blocks along the way. Forming a movement requires you dealing with a lot of personalities. Some are good, critical, destructive, and helpful. With limited time, learn where to best invest and share valuable moments with.